Those of you familiar with "Not North Road" will recall that a few months ago I made the big call to demolish the layout and start a new one in what was my son's bedroom which became vacant after he married and left home. Its taken me a while to clear the remains of his belongings out into the garage and redecorate. That done this weekend I started on the layout. I haven't drawn a plan - its all in my head ! The layout will consist of two levels with a fiddle yard on the straight section in the photo. I have started the demolition of Not North Road to cannibalise the points for the fiddle yard - I'm trying not to think too much about all the hours spent on the old layout - especially all the wiring !! The " Axe " strikes again. We will all be keeping an eye on this one. What will be different about "Notmutley" ? - construction will be a bit different - rather than the flat board approach some of the layout will need to be built using elevated track approach. The new "train room" is 4.9m by 3m minus the bit in the corner where there is a .7m by 1m intrusion. The plan is to build the fiddle yard on the long side of the room (so that I can run some prototypical length trains ) and have the town scene and platforms directly above. My idea is that a train would have to make two circuits of the room from the time it left the station to the time it returned. This will allow me to program RR&Co so that from a station view perspective I can maximise the number of trains that can arrive and depart at regular intervals before they start reappearing. "Notmutley" will be the first time I have built a layout that will go around the room - this will present a challenge as I will need to work out the best way to gain access form the doorway. So a number of challenges . Sounds like a good plan, Dave. Have you thought about Anyrail? Once you load the component brand, it's really helpful. It tells you how to make the best use of your lengths of track and won't let you get your curves and transitions wrong. It's got some nice graphics as well. Very drastic Dave, I'm still putting mine back together. It's he same deign I just made it more resilient for running TC. The wiring hold now be bomb proof with no mysterious losses of detection. ECOS2 with RR&Co Traincontroller and a load of other electronics so i can sit back and watch the trains go by. MaxSouthOz wrote: Sounds like a good plan, Dave. I think they're on different levels Max .................. I hope so !!!! Dave, if you use Cobalt in lieu of Tortoise, they don't take as much vertical room. Unless you turn the tortles on their side. Petermac wrote: I think they're on different levels Max .................. I hope so !!!! Good job you posted the reminder in Not North Road otherwise I would never have found you! I am afraid this is rather negative but I dont believe the boards are made yet? As you know Granby IIIs fiddle yard is at layout level but concealed by low profile terraced housing......when I am testing RR&Co schedules these housing modules have to be temporarily removed........knowing what I know now I think I would have done it differently......certainly more space between the tracks.....more flexible movement between the tracks and easy access at all times. Thanks John for the comments all of which are taken positively. 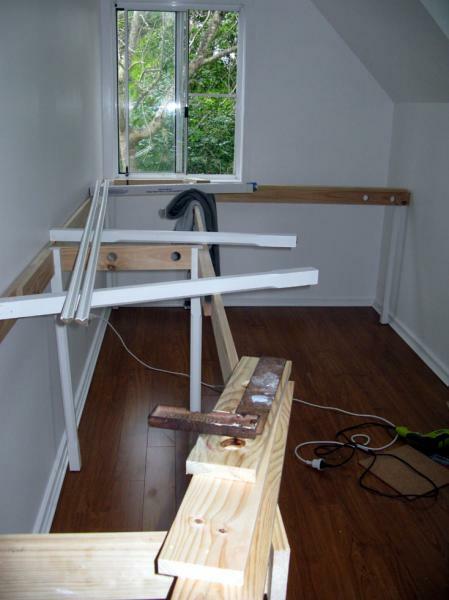 I am currently building the supporting frames around the room so no boards or track have been laid as yet so your comments and suggestions are timely. 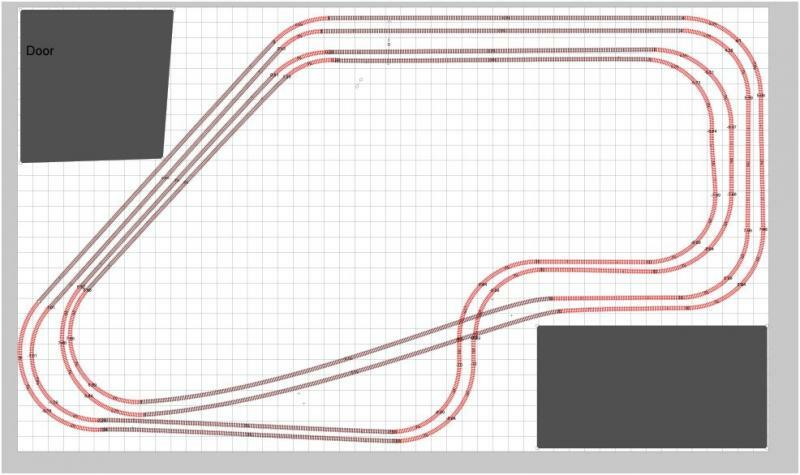 Based on your comments I will work on a revised plan that has the fiddle yard on the top level - this will leave me plenty of room on the lower level including a length for RR&Co speed profiling. Sol wrote: Dave, if you use Cobalt in lieu of Tortoise, they don't take as much vertical room. Hi Sol, sorry I missed your post. Thanks for the recommendation - my problem is that I have 18 Tortoise(s) which I was hoping to use rather than buying new kit - that said would you say the Cobalts would take up half the room of a Tortoise? MaxSouthOz wrote: Unless you turn the tortles on their side. I have seen this done somewhere - I'm guessing you need to purchase adapters .. Which reminds me can you buy spare wires for the Tortoise? 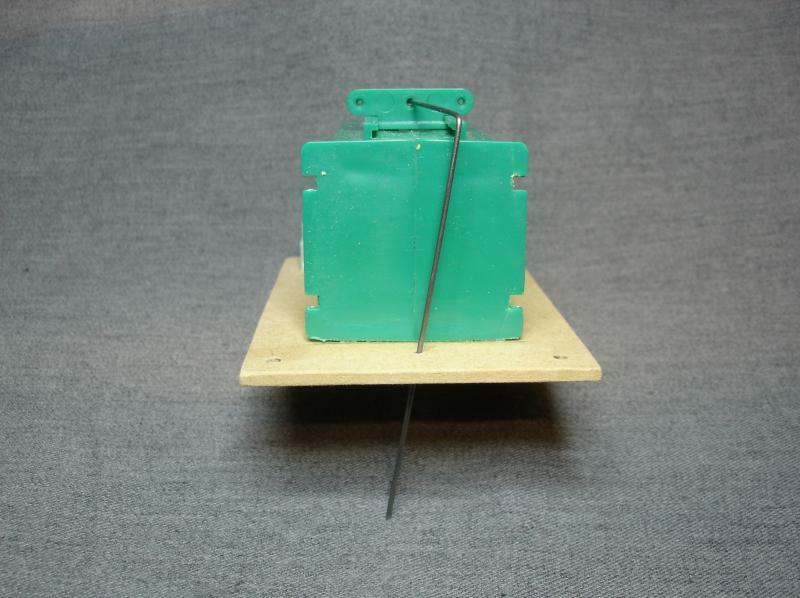 or will any piano wire do the job? I replaced all of the wires on mine with 1/16" piano wire. You don't need adaptors to turn them on their side. It actually enhances their operation by giving them greater leverage. I'll dig out the photos. Thanks Max - how did you attach them ? is there a way of doing it so that in need you can easily remove them ? They're glued on with PVA, Dave. The four holes in the board help to pre-locate them on top. 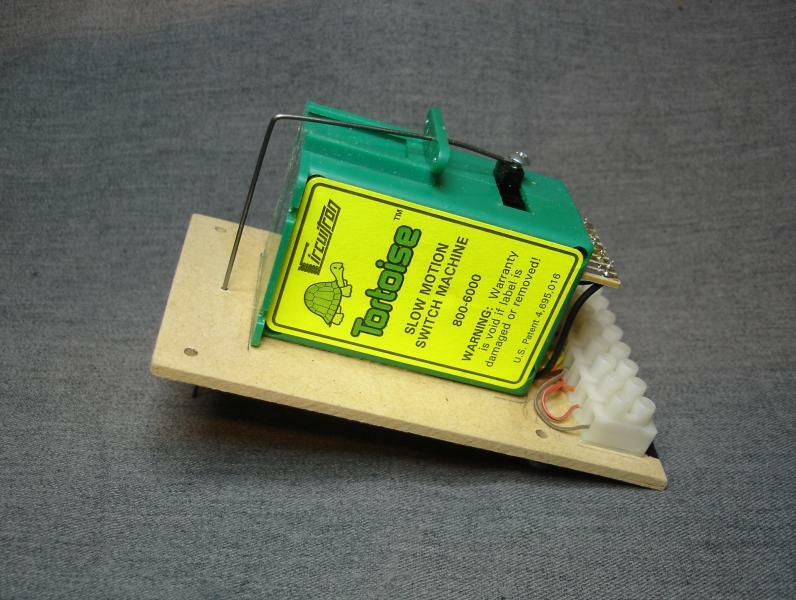 Drill 4 x 1/16" holes through the base board with the motor sitting on top with the wire through the throw bar in the turnout. Then you can line the board up underneath quite easily. If you need to remove them, just take the four screws out, and it will drop out.